Here we are once again. We’ve voiced much displeasure with AMC’s zombie apocalypse show, The Walking Dead, over the past few years but, somehow, the show just continues to soldier on. Each new season is littered with the same issues as the previous one while also introducing worthless new characters and boneheaded subplots. The fact that The Walking Dead has been doing this for years and still rakes in millions of viewers is preposterous. 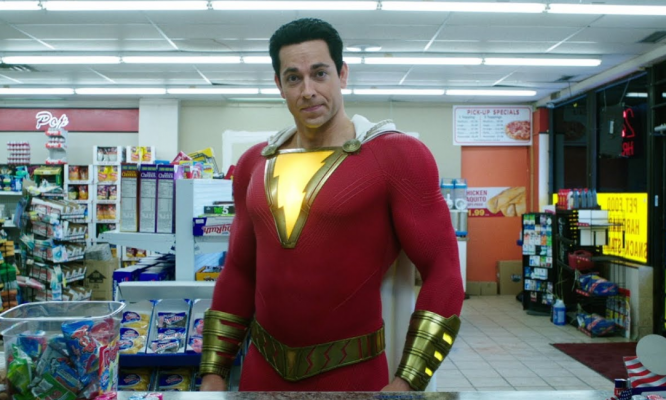 Though, the show’s viewership has been hitting lows across the board while still being one of the most watched shows on television in general. 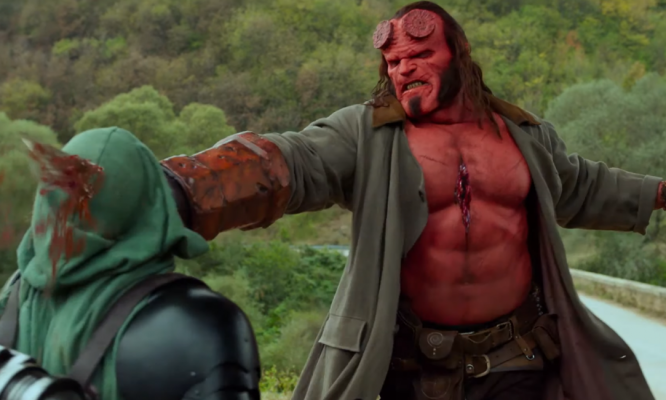 Season 9 concluded last night with a more subdued cliffhanger than usual. With the season’s conclusion, it means that it’s time to vent on all of the issues that continue to plague The Walking Dead despite the promotion of Angela Kang to showrunner for this season. 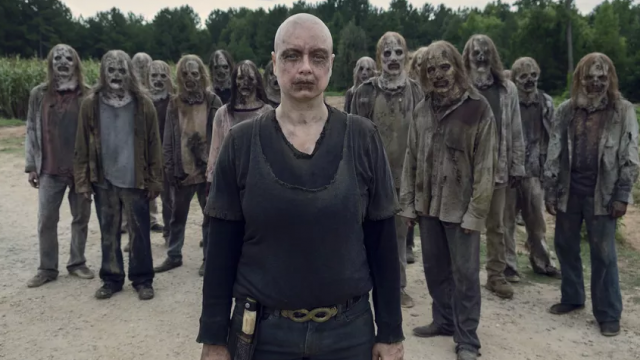 For starters, Kang’s promotion and the departure of previous showrunner Scott M. Gimple, along with one of the show’s biggest stars, are big talking points for Season 9. Gimple received a promotion of his own to Chief Content Officer. While not as heavily involved on an episodic or seasonal basis, Gimple is responsible for the expansion of The Walking Dead brand in general now. This includes three rumored feature films starring the recently departed Andrew Lincoln as series protagonist Rick Grimes. 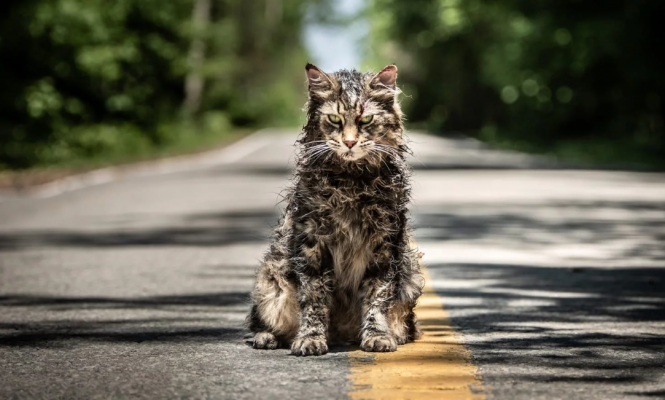 The films are set to air on AMC television which seems strange as it begs the question as to why Gimple and company didn’t just focus on making better storylines for the show. Feature films based on television shows are nothing new. HBO’s Deadwood is getting a feature of its own this May. Meanwhile, The Walking Dead can’t even keep its viewership numbers up to its previous highs. In turn, this would warrant making bigger investments in other projects to continue forward. The Walking Dead Season 9 picks up eighteen months after Rick Grimes (Lincoln) and company defeat Negan (Jeffrey Dean Morgan) and the Saviors in All Out War. Instead of killing Negan, Rick keeps him prisoner as a symbolic gesture of change and a rebuilding of society. The communities build a metaphorical bridge by building an actual bridge to unite them. Of course, harmony between the communities of Alexandria, Hilltop, The Kingdom, Oceanside, and the Sanctuary doesn’t last long. The Saviors especially have issues adapting to Rick’s way of doing things and some even remain loyal to Negan. Maggie Rhee (Lauren Cohan) takes issue with Rick’s handling of Negan as the latter had previously brutally murdered her husband, Glenn. Maggie and the other survivors from Hilltop set out to right Rick’s wrong by rejecting the remaining Saviors and killing Negan. Then, Season 9 takes a serious turn. Going forward, there will be some spoilers so be forewarned. 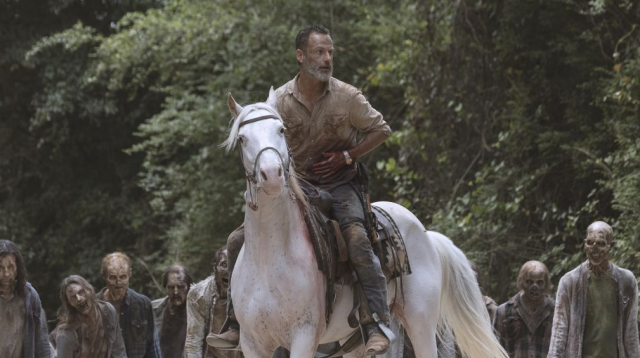 Rick, the show’s long running protagonist, is critically wounded after being thrown from horseback and impaled. This is all while a herd of walkers closes in on him at the bridge. In an effort to save the communities, Rick blows up the bridge which leads the survivors to believe he perished in the blast. Of course, Rick survives and is taken away in a helicopter along with Jadis (Pollyanna McIntosh). From here, the show fast forwards six years without explanation and introduces new characters, romances, and a mysterious new enemy in Alpha’s (Samantha Morton) Whisperers. In addition, the communities have fractured once again following the “death” of Rick Grimes. Something that The Walking Dead has never been able to handle properly is its timeline and overall structure. Season 9 could be the show’s worst offender in this regard. The post-war storyline picks up at a logical point and continues with the idea that the communities are united yet splintered on the fate of Negan. Initially, it seemed as if the dissolution of the original group was imminent due to Maggie’s hatred for the leader of the Saviors. Then, Episode 5 happens. Even before Season 9 began, it had been announced that Andrew Lincoln was leaving the show. Most expected his character to die but, in classic Walking Dead fashion, this was only teased. The character survives but he’s also no longer in the show. There’s no question that Episode 5, entitled “What Comes After,” is the highlight of the season. However, the show makes the six year time jump in the very next episode. For a show that takes a midseason break, the “death” of Rick Grimes should’ve been pushed off until the midseason finale. It certainly shouldn’t have happened here with an inexplicable gap immediately after it. Irritatingly enough, the season isn’t done here as it again jumps forward in time for the first winter episode of the show’s long run in the season finale. Obviously, this time jump isn’t as far as the previous one but, again, it’s a very strange time to do this. Why not just have Season 10 pick up during winter instead? Ultimately, the six year gap in events is what kills most of Season 9 as it tries to explain what has happened in the time between. Michonne (Danai Gurira) essentially becomes the new Rick but refuses to allow new people into Alexandria. She’s left to care for Rick’s wife and best friend’s daughter, Judith (Cailey Fleming), who adopts her as her own. She also gives birth to her and Rick’s child, R.J. (Anthony Azor), who becomes the new Judith as he’s rarely seen throughout Season 9. The confusing familial and relationship structure doesn’t end here as King Ezekiel (Khary Payton) and Carol (Melissa McBride) “wed” and adopt Henry, an orphaned boy who resides at The Kingdom. This is strange as Henry was definitely old enough to know and remember his own father before he passed away. New romances spark up all over the place in this season as well. Along with Ezekiel and Carol, Enid (Katelyn Nacon) and Alden (Callan McAuliffe), Rosita (Christian Serratos) and Gabriel (Seth Gilliam), Rosita and Siddiq (Avi Nash), and Henry and captive Whisperer, Lydia (Cassady McClincy), all get together at some point. Just look at all of these names. This is what it’s like to actually watch The Walking Dead. It’s just constant nonsense. Half of these people are so inconsequential that you have to look up who they even are and whether they’re still alive or not. When it comes to The Walking Dead, they could definitely cut a few cast members loose. Yet, for every person that dies, it seems like they add five more. It’s exhausting. This is especially true when they try to make characters like Henry, who’s just as annoying as Rick’s son, Carl, used to be, a focal point. So, is there anything good about Season 9? Sure. Alpha and the zombie skin wearing Whisperers are kind of cool for about two episodes. Then, you realize that it’s just another group of humans for the survivors to battle. They show up as a major threat that seemingly could’ve been avoided if fan favorite Daryl (Norman Reedus) wasn’t so stubborn. Then, they kill off a bunch of people in Game of Thrones fashion which sets up for Season 10. Does anyone really care though? Are the Whisperers any different than The Governor and his people? Are they any different than the inhabitants of Terminus? The Saviors? Ultimately, no. They’re not. When all’s said and done, what is The Walking Dead even about at this point? What’s the premise of the show? Is it just to survive? If so, that’s not really a premise. The ever-growing cast of characters is never working towards anything. They don’t have any kind of goal to achieve. That’s The Walking Dead in a nutshell. It’s just surviving and existing on television. There’s no bigger picture in mind or final destination. Hopefully, there will be one in mind for the story of Rick Grimes as Andrew Lincoln gears up for three (!!!) feature films as the character. At this point, who really cares about anything going on in the flagship show when the brand and even its lead actor are clearly telling you that the important stuff is on its way in a different format? We could go on about the deaths of some long running characters this season or the symbolism of bridges being built and destroyed. Again though, what’s the point? 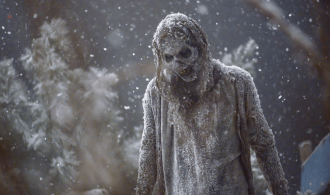 The show even gives viewers their first glimpse of a Walking Dead winter. Yet, it’s so anticlimactic and poorly timed that it’s hardly worth mentioning. The characters act as if they’ve never seen snow before even though they’ve talked about surviving winters numerous times in the past. The idea of winter is interesting and fresh but it’s shoehorned into the final episode of the season leaving little to look forward to next season. Surprisingly, Season 9 has gotten some praise from fans and critics alike but don’t be fooled. There’s one episode that’s worth watching and that’s the farewell episode to Rick. Beyond that, this is the same old Walking Dead that we’ve come to know. Here’s hoping that Rick’s trio of films will be a proper conclusion in which we can finally bury this lifeless show once and for all.